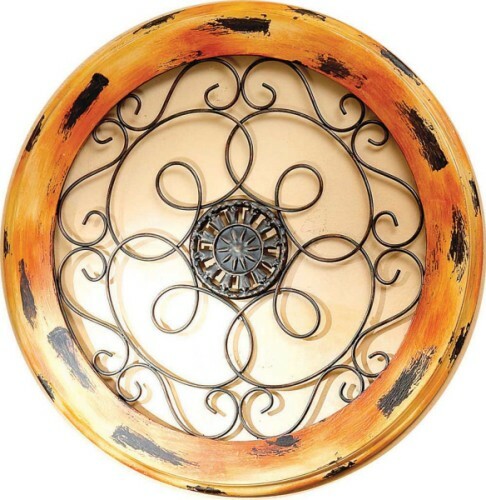 Distressed multi-color finish round frame wall decor. Scroll and medallion center grill is multi colored. Dimensions- 18 in. Diameter x .75 in. W. Made of iron and wood.